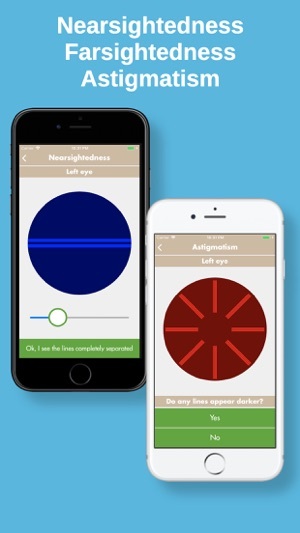 Eye Meter check your vision problems in an easy way! 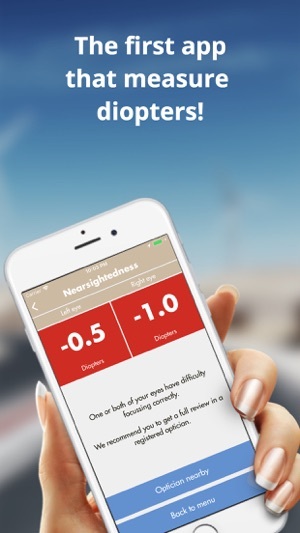 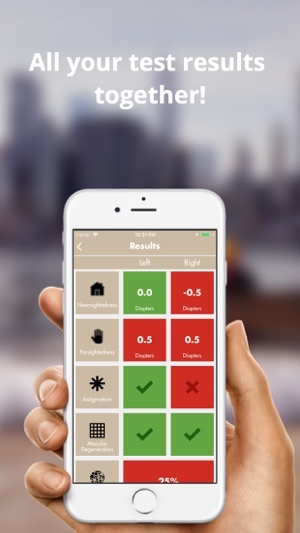 - Nearsightedness(Myopia) / Farsightedness(Hyperopia) —> This is the first app that can measure DIOPTERS! 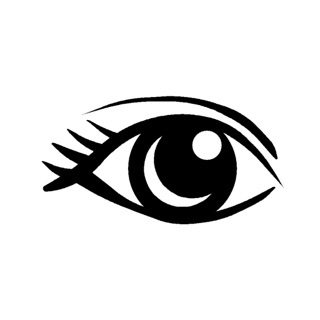 Our vision is very important, that is why we should check it every year, but sometimes we don't have time for it. 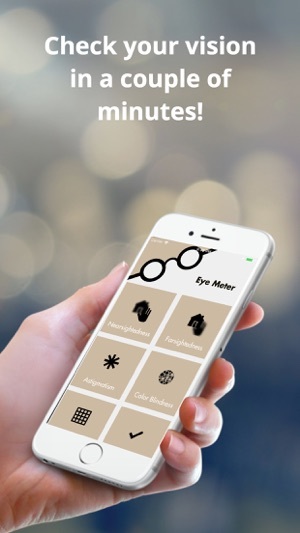 With Eye Meter you have no excuses, in only a couple of minutes you will be able to check if you have some vision problems from your own home! 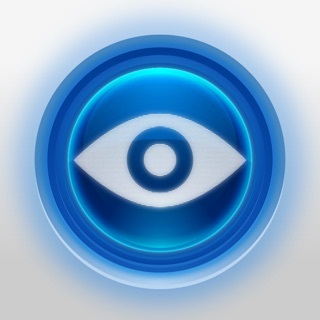 Also, if you need to go to the optician, Eye Meter shows you the nearest ones! 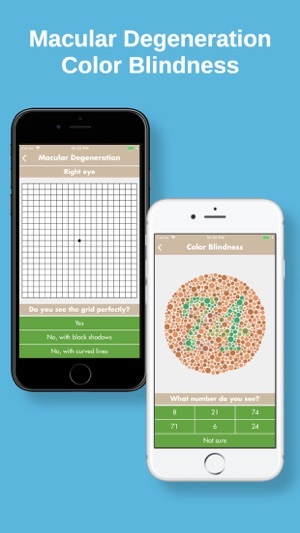 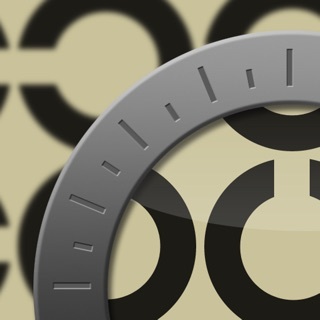 Now Eye Meter is Ad-Free, no more waiting to see your results!